Ad Astra Comix is pleased to provide an up-to-date listing of comics, graphic novels, and “bandes desinees” about Israel and Palestine. As a part of our growing interest in political comics education, we offer this information as a useful resource, and do not necessarily condone or support all the various viewpoints expressed in the following books. Published: 1993 (First Edition). 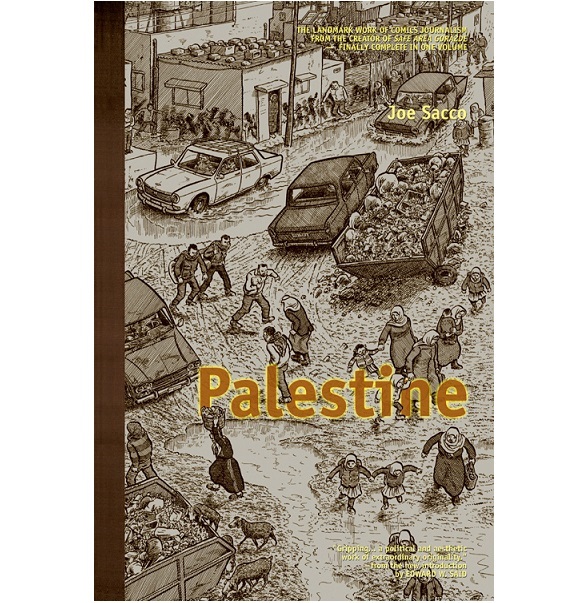 Single volume edition published in 2001 by Fantagraphics, currently on its 14th or 15th printing.As a comics journalist, Joe Sacco visually documented his travels through the West Bank and the Gaza Strip in a first-hand account of the people of Palestine. Over the past 20 years it has become, hands-down, the most lauded example of a comic depicting the reality of Israel-Palestine tensions. Sacco’s travels in between late 1991 and early 1992, mixed with comic-rendered flashes of significant historical moments, serves as a great primer to a history and conflict often misunderstood in the West. 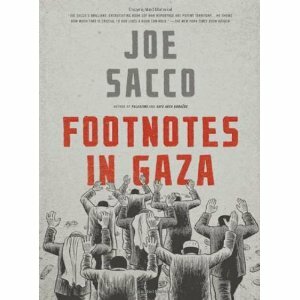 Published: 2009 by Metropolitan BooksA follow-up to Palestine, this work was released in 2009 documents Joe Sacco’s quest to discover the truth behind the events in Khan Younis and Rafah in November 1956, when Israeli forces were responsible for the deaths of nearly 400 Palestinians. Using largely first-hand Palestinian oral testimony, the comic chronicles the people met and interviewed during his travels, which gives shape to a dark history some 5 decades old. History and its revisions are explored as Sacco’s depictions of the stories told by each interviewee sometimes conflict and circle around the truth of why those Palestinian people were killed. Published: Vertigo (2011)What started off as a Birthright tour to Israel, special tours to help nurture a personal relationship with Judaism, became a challenging journey of personal discovery for Sarah Glidden. 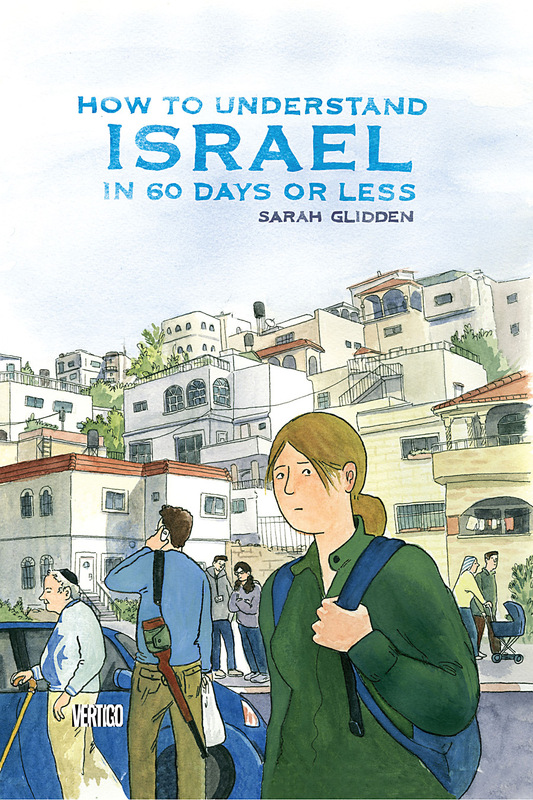 She traveled through many popular destinations like Tel Aviv and Jerusalem, though the most striking voyage is her unescorted trip to the West Bank, forcing her to ask serious questions of herself and her identity.Glidden has explained that she found herself discarding many pre-conceived notions that she had about Israel/Palestine before leaving North America. Published: Drawn & Quarterly (2012)Another travelogue, this one situated entirely in Jerusalem as comics journalist Guy Delisle documents the life of his family who have travelled there as part of his partner Nadège’s work with Médecins Sans Frontières (Doctors Without Borders). 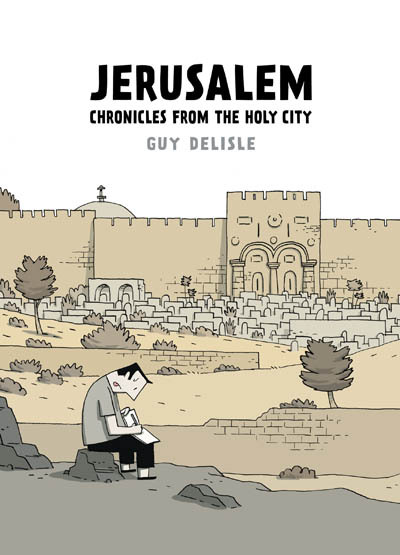 Situated in the eastern part of Jerusalem, Delisle finds himself situated on the precise ground of conflict detailing the lives of people on land with a disputed border and what it means to revere a sacred city. 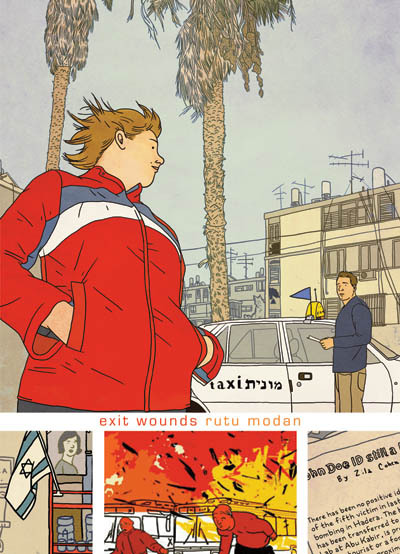 Exit Wounds is Rutu Modan’s first full-length graphic novel, and tells an intricate story of a cab driver living in Tel Aviv who is suddenly faced with the possibility that his father has been killed by a suicide bomber. 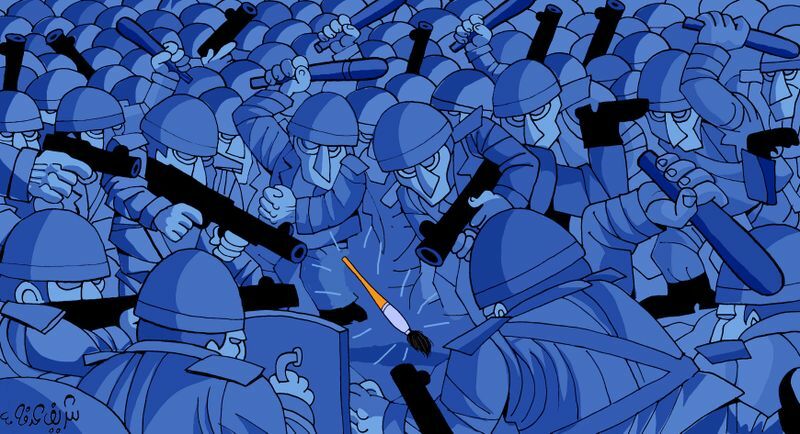 Though perhaps most known for being imprisoned for five months in Israel from February 2013, Mohammed Saba’aneh’s cartoons have been featured in newspapers throughout the Arab world and he’s had exhibitions in the United Kingdom, the Netherlands, Switzerland, and Jordan. His most recent exhibition, Cell 28, centres on his time in that Israeli prison. Much of his work describes a deep cynicism towards offers of peace coupled with a generally critical view of Israel. “Arresting Mohammad Saba’aneh” – cartoon by Sherif Arafa. Photo courtesy of Cartoon Movement – click to visit site for a larger image view. 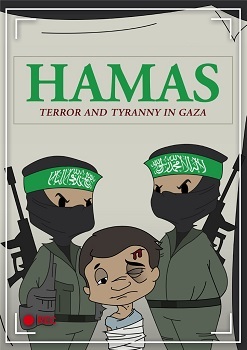 Produced by the Israeli Defence Force (IDF), this comic book introduces young readers to Hamas through the eyes of the Israeli military. A prominent example of a comic being used as political tool to shape the mindset of children, it also provides a unique glimpse into how the Israeli military envisions its own role in the conflict. Hamas in Comics draws striking parallels with comics you would be more likely to see in WW2-era North America (a time period not often considered to be the most enlightened when it came to representing non-American cultures). 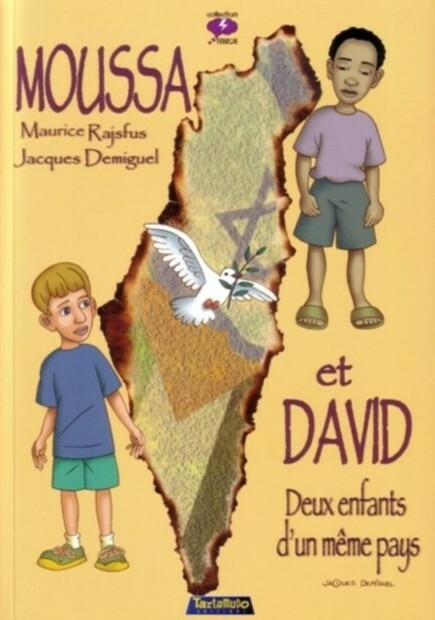 A slightly different approach to a comic book aimed specifically towards children, this work by French Jewish historian Maurice Rajsfus tells the story of two boys who learn they have far more in common than their different religions might suggest. It serves as a lesson that those who are most innocent in this conflict may be able to show the rest how to solve the region’s problems. Best known for his long running series Zbeng!, Ouri Fink’s collection of short stories targets political and religious extremists and satirizes them with a number of colourful comparisons. 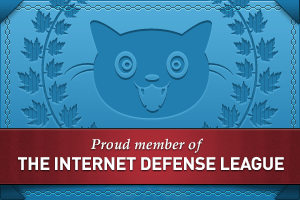 Some of the stories include “Hamas – the world’s mightiest moron versus the Rabbi ben Death” and “Humaus,” which borrows a device from Art Spiegelman comic Maus, but instead casts the Israeli settlers as the cats and the Palestinians as the mice. Fink’s refreshing use of humour sets his work apart from most other somber additions to this category of comics. This semi-autobiographical collection of short stories follow a young Israeli girl, and eventually a woman grown, named Noga. The conflict between and Israel and Palestine is muted to Noga during her childhood, but gradually as the stories move forward to Noga’s mandatory military service where she is most directly confronted with the reality of the conflict when she is compelled to take part in a forcible evacuation of Palestinian houses. 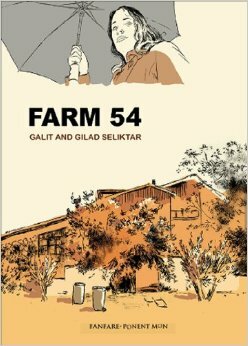 Created by the brother and sister team of Galit and Gilad Seliktar, it provides a counter-narrative from within Israel that humanizes their closest neighbours. This webcomic is one of the few examples of a comic from a Palestinian, due to the scarcity of jobs for comic artist in Palestine. Based on a true story, it follows an American Palestinian family trying to build a home in the West Bank. The challenges of maps is brought into focus as the very lines on each map make placing a home so difficult, with the slightest breach in a line being seen as a form of aggression. Considering the story is literally about lines drawn on paper, it makes a comic the perfect medium to explore this, and other disputes on where Israel ends and Palestine begins. First panel of “Signals from Gaza” – click to be taken to Samir Harb’s website. 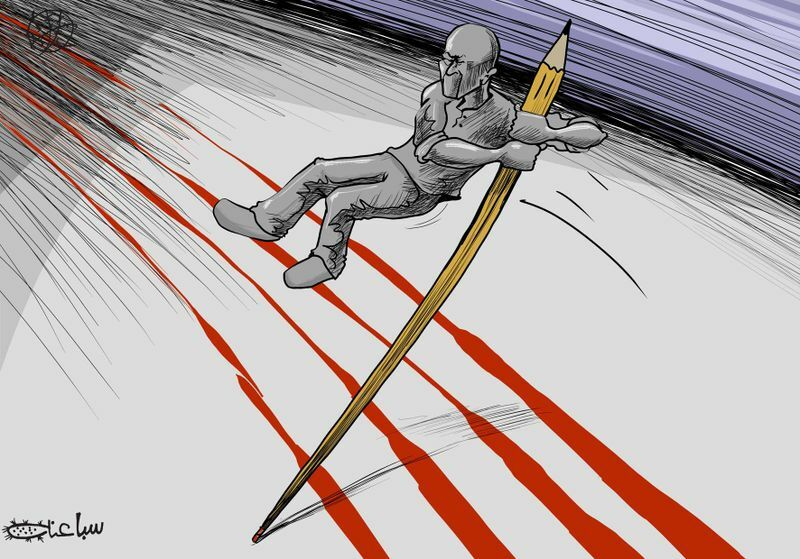 Of all Palestinian political cartoonists, the most influential is arguably Naji al-Ali, not only for the impact of more than 40,000 cartoons that he drew in his lifetime, but for the creation of the Palestinian characature and icon known as “Handhala”. Handhala has had a life and history for decades, depicting a 10-year old Palestinian boy, shoeless and in shabby clothes, with his hands behind his back. Al-Ali has explained that he symbolizes both himself (he was ten when he was forced to leave his homeland), as well as a number of general principles, including an allegiance with the poor and an unwillingness to have problems solved by external forces. Like any who saw it first-hand, Handhala became the iconic witness of the Israeli occupation. And like Handhala, al-Ali insisted he would forever remain a child until he was able to return home to Palestine. On July 22, 1987 Naji al-Ali was shot in the face outside the London offices of al-Qabas, a Kuwaiti newspaper he worked for. He died of his wounds 5 weeks later. His is one of the truest examples of the power of political comics to move, inspire, shake up, and frighten those who see them. Panels for Peace: Contributions of Israeli and Palestinian Comics to Peace-Building. Chantal Catherine Michel.